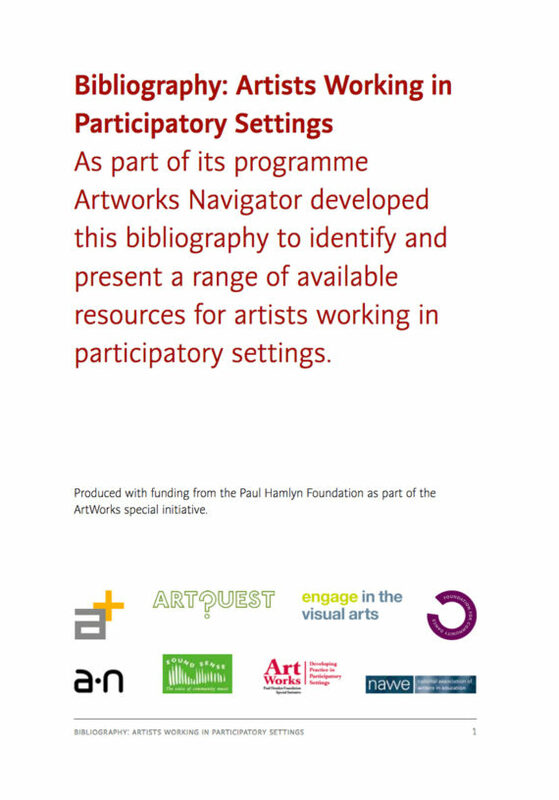 Entries selected by the Artworks Navigator partners – A+ (a-n and Artquest), Engage, Foundation for Community Dance, National Association of Writers in Education (NAWE) and Sound Sense – cover general research around participatory practices along with listings of specialist handbooks, background reading, printed and online publications organised by artform. Last updated October 2013. ArtWorks: Developing Practice in Participatory Settings is a Paul Hamlyn Foundation Special Initiative to support the continuing professional development of artists working in participatory settings.